This is the broad answer. More specifically, and to assist you in fleshing out your expectations of the architectural process, what follows is a description of the 5th of the seven key stages we undertake for each of our projects. 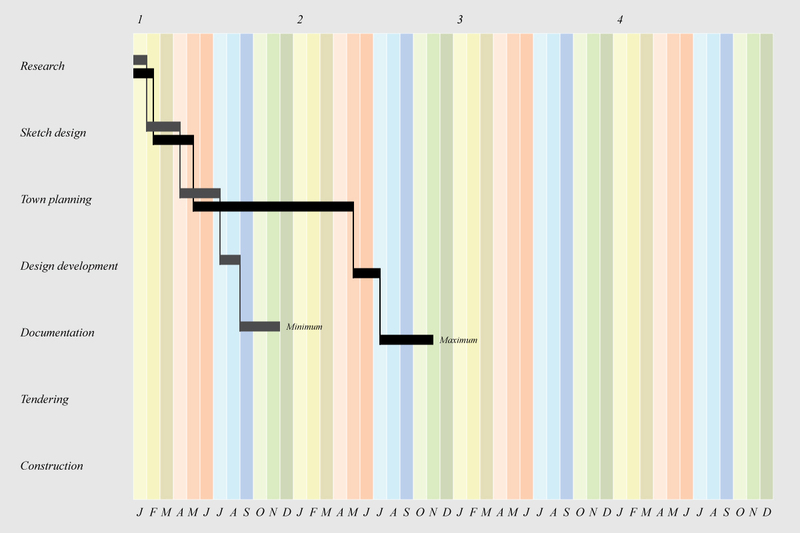 An archive of all seven stages can be accessed here. Receive tenders from one or more builders to build your project. We lock ourselves in our studio and go non-stop until we’re finished. 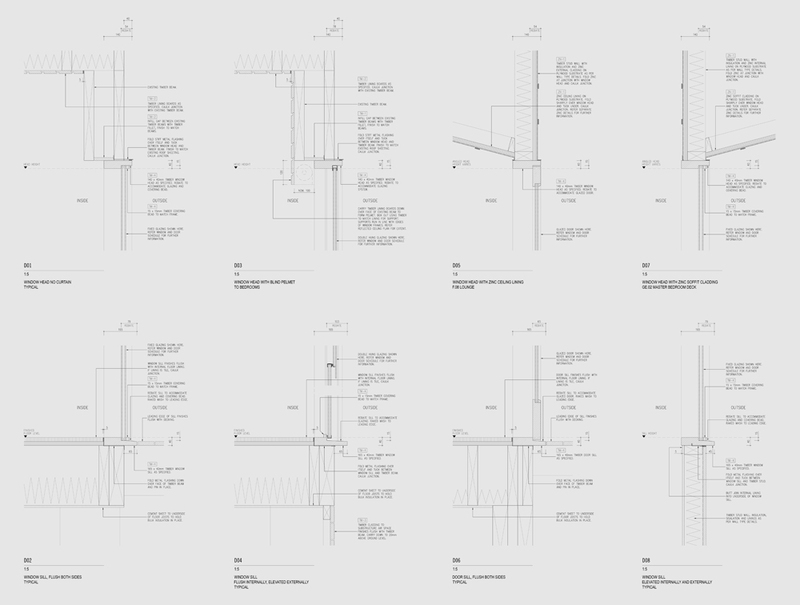 We produce a very large quantity of drawings, including a site plan, demolition drawings, floor plans, reflected ceiling plans, elevations, sections, stair details, construction details, joinery plans and elevations, joinery details, and a window and door schedule. We also produce a written specification with attending schedules and appendices. The drawings explain the where and the how much; the specification explains the what and the how. We work closely with the structural engineer, environmental consultant and landscape architect, both guiding their work and coordinating it with our own. While larger projects often involve further specialist consultants, this list is typically sufficient for single houses. We pay careful attention to the overlap between the consultants’ documentation sets to make sure heating ducts don’t need to be where columns are, and neither need to be where the kitchen sink is. We also submit our documentation to a building surveyor, who assess it against relevant building codes. Finally, we end up with a highly detailed set of drawings and specifications that cover every scale of the project from site setout, to structural grid, to joinery details to tile types. These documents, together with our ongoing involvement on site, ensure the many months we have spent on creative thought find their way into the built form. Farmer House documentation. Author’s own image, see here for further details.